(Update December 2016) What can I say but I finally made it over to MoJoe’s after living in the area for four years. 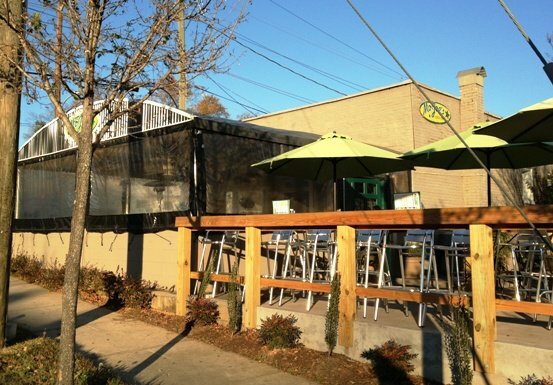 Located at the intersection of Peace and Glenwood, MoJoe’s sits on the northern tip of S. Glenwood across from the Mellow Mushroom. I’d pass by regularly and see people munching away on burgers on the patio and having a beer. The reason why I never tried the place? 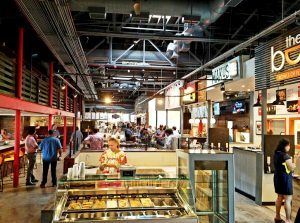 MoJoe’s is in the middle ground of burgers, neither gourmet nor fast food. If I want it fast, I’ll usually end up at Cook Out or Mickey D’s. If I want a high-end burger I typically end up at Draft or Chuck’s. But eventually I had to try out this Raleigh classic so I stopped in for a quick lunch. 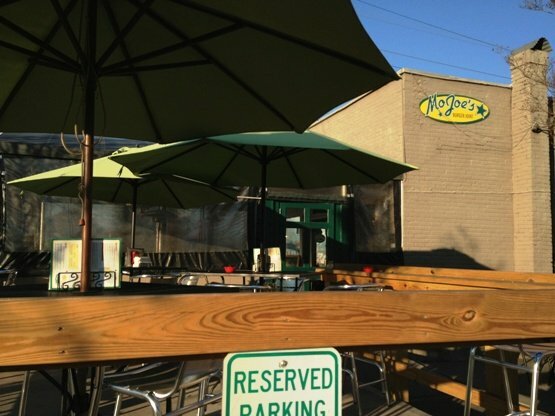 The best feature of MoJoe’s is the nice patio out front. During the summer it’s usually pretty busy. Inside the space reminds me more of a Mitch’s Tavern or Player’s Retreat. 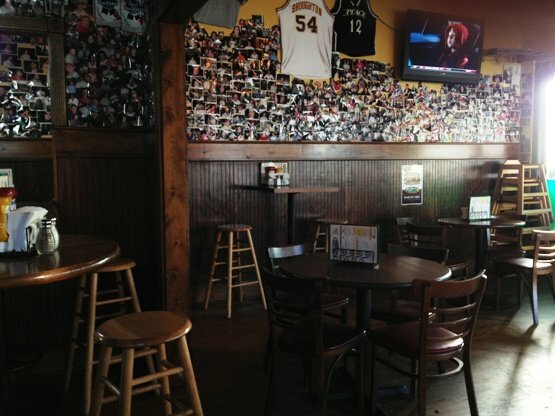 Old-school woods, lots of pictures on the wall, sort of an NC State hangout. They’ve got a nice bar in the back with specials pinned up to the wall. 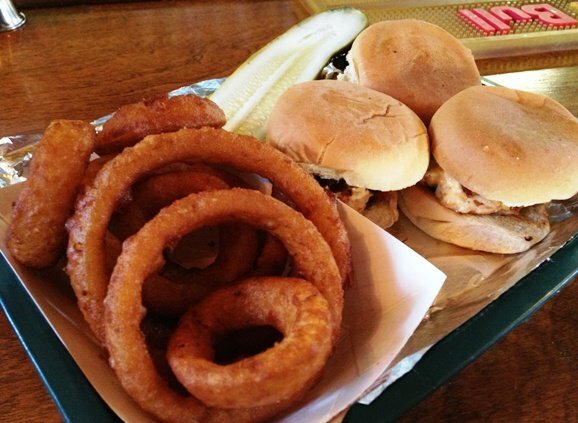 I ordered up a plate of Little Joe’s along with some of their onion rings. They cook your food to order so it took about 10 minutes or so. 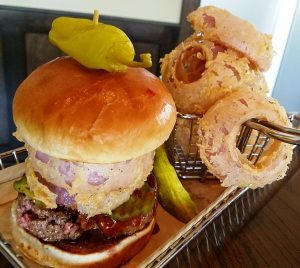 Out comes a tray of three sliders with pimiento cheese and bacon along with some well-browned onion rings and a large pickle. The burgers are nicely grilled, again MoJoe’s does a house-ground solid black angus patty. Covered with some salty cheese and crunchy bacon, these sliders sat on a nicely toasted bun, well done! The onion rings had a thick fried coating, thickish cut and were served along with some MoJoe’s sauce (Thousand Island), decent. Service was excellent at the bar, you can tell they do a volume business and the guy in back was fast, making sure my drink was always refilled. 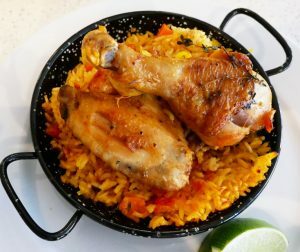 The meal came out to about $11 plus and what’s nice about MoJoes is that they run quite a few food and drink specials during the week, keep an eye on their twitter feed for details. 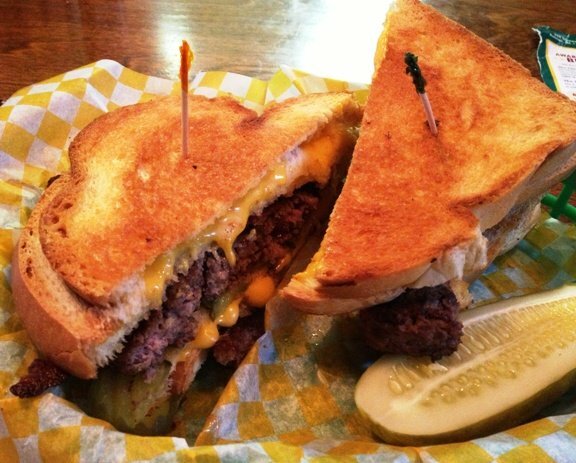 After 10pm a burger is $2, take advantage of that deal if you’re in the area late and hungry. So yeah, MoJoe’s does serve up an honest burger but in a Goldilock’s fashion, not too fast, not too delicious, just a decent burger. Go in knowing what to expect and you’ll be fine!